I'm certainly no engineer, but I know how to build bridges and why that is important. As Mortenson shared in the conversation I posted yesterday, sometimes you need to build a bridge so you can build something else; the bridge may end up being the ever lasting part of what you're building. One of the reasons why conversations are so powerful when we join them in real time is that we can uncover those needs -- real or imagined -- that are deal breakers. Yes, you read correctly, I mixed the hard language of business with the soft concept of humanity. You take away the people; you are left with phone systems that are nightmares to navigate. That is the subject of my weekly post on FC Expert: That Dreaded Call. Read how our own Customer Service group handles calls that result in more business and solve problems that our customers did not know they had. In a podcast with Anna Farmery of The Engaging Brand earlier last week I also discussed branding and the art of conversation. If you have twenty minutes and are curious about my Italian accent, that is an interesting dialogue on how brands are evolving and how conversation opens up a new space for internal engagement in companies, as well as resonance in the marketplace. Anna is a living example of how a brand can be engaging; her questions are timeless. 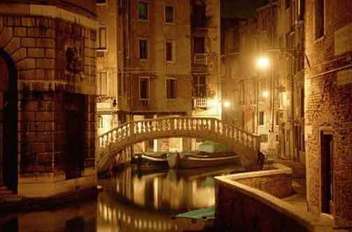 Excellent post and thanks for sharing Venice with us. I love the city and frequently get lost crossing the bridges. Anna -- the engagement is what pays. In the end, what's important to know is that you've made a difference, and there is no price on that. Matt -- the funny thing is that I'm much more used to listening to my recorded voice in English than in Italian these days; although I dubbed 200 hours of video lectures into my mother language at one point. I had a great time talking to my Customer Service colleagues for the article: it's worth a read. Great interview on The Engaging Brand, I listened to it last night actually. It's always wonderful to hear the voice behind the blogger (I love your accent by the way). On building bridges, your mix of humanity and business is great. The relationships outlast servers, phone systems and projects and in the end it's all that matters.